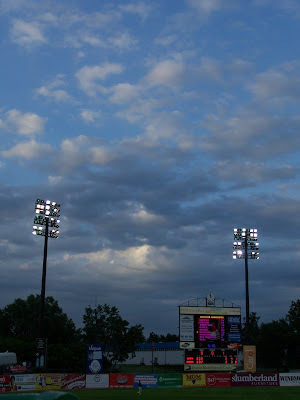 A great way to enjoy your summer is to catch a Saint Paul Saints game. Last night we attended a game and the kids just loved it. Seating is good no matter where you sit, and there is plenty of food options to please any appetite. 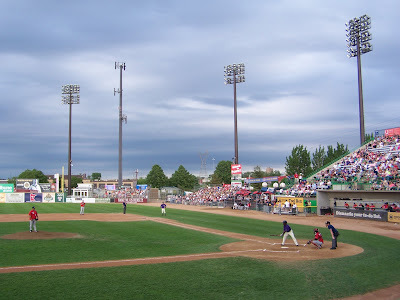 You will also get to enjoy a game outside, as all baseball games should be played, and not have to sit in a loud dome like with the Twins. If your kids love trains, they can catch a few as they go past the outfield in the middle of the game.